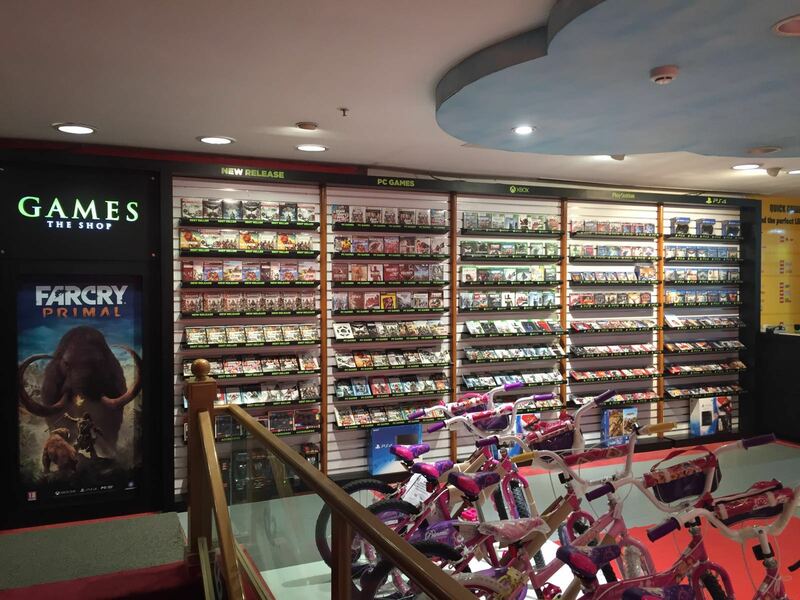 28th January, 2016 (Mumbai) – Games The Shop, a leading game specialist retailer in India, now has a shop in shop (SIS) outlet at Hamleys, Mumbai. It is located at Level 1, High Street Phoenix, Lower Parel. Video games for all platforms will be available in the outlet, along with gaming consoles and accessories. Speaking on the occasion, Anand Khemani, Director, Games The Shop, said: “Gaming has already made its mark in other parts of Mumbai with our stores in the suburbs, and now we are all set to establish the same in South Mumbai. The new outlet at Hamleys is our initiative to bring the world class shopping experience for gaming products to the customers here. We are sure the presence of a specialist outlet in South Mumbai will help grow gaming in this zone”. Currently, Games The Shop has 6 stores across India at R City Mall, Oberoi Mall and Infinity Mall in Mumbai, at Mantri Square Mall in Bengaluru, at Express Avenue Mall in Chennai and at Alpha One Mall in Ahmedabad.